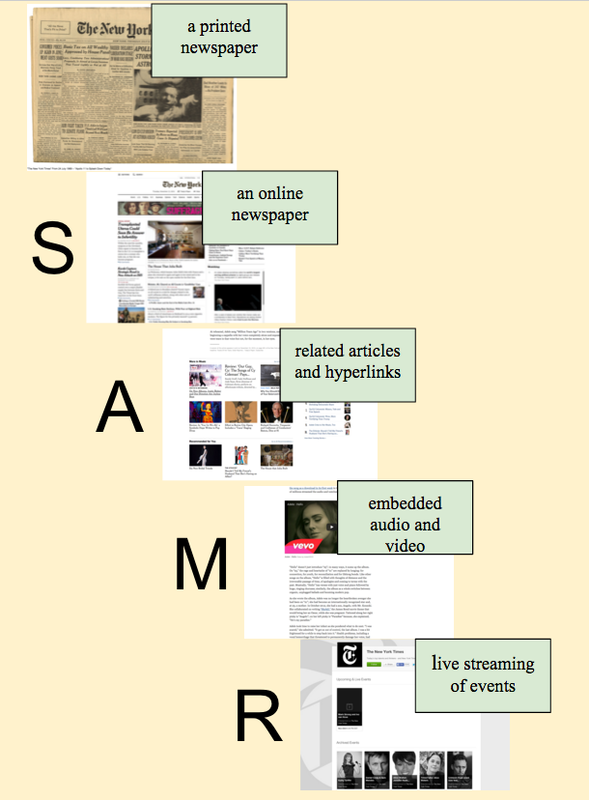 SAMR is a model for educators to use when incorporating technology into teaching and learning. Developed by Dr. Ruben Puentedura, the SAMR model provides educators with a framework and understanding in order to plan, develop, and infuse digital learning experiences that utilize technology. While the model was created in a linear fashion, it’s important to remember that SAMR doesn’t have to be used as a scale or a ladder. It is not necessarily true that technology used as a substitution (S) is inferior to technology used to modify (M), augment (A), or redefine (R) the learning experience. It will depend on the task at hand, the individual students, and the desired learning outcomes to determine the role technology plays in each lesson. 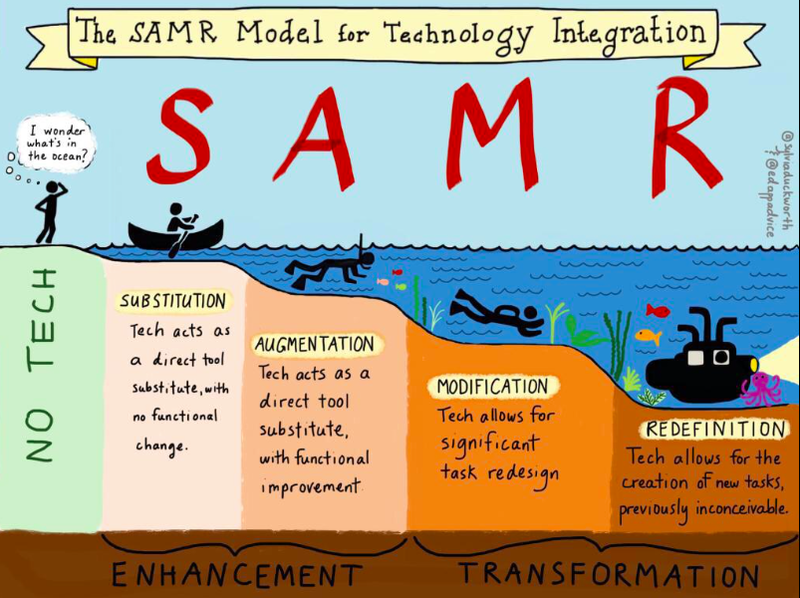 The SAMR model can simply be used to help teachers see what the technology can do or what it is doing at a given time and implementation. However, when the intention is actually to modify, augment, or redefine the learning experience, the model shows teachers how it is possible to do so through the use of technology. Here’s another example that I made, using a newspaper as our subject. Take a look at how various applications of technology can change the experience of “reading” the news. Original: Newspaper is printed on paper and purchased at a newsstand or delivered to the doorstep. Substitution: Newspaper is now available in electronic format online; can be subscribed to by email or RSS feed. Augmentation: In addition to being available online, there are now hyperlinks embedded within the news articles which take the reader to further information about the subjects in the news. Modification: In addition to additional resources hyperlinked in the online news articles, audio clips and videos are embedded to accompany the news stories as well. The more familiar you become with the SAMR model, the easier it becomes to determine which technology applications to use for which lessons and when. 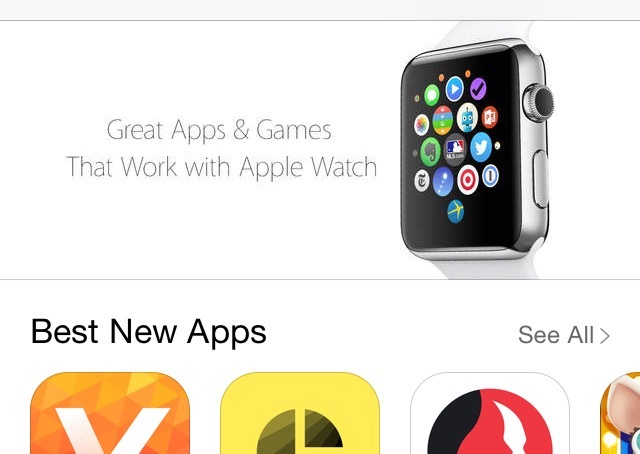 New devices, like the Apple Watch, bring even more apps into the picture! 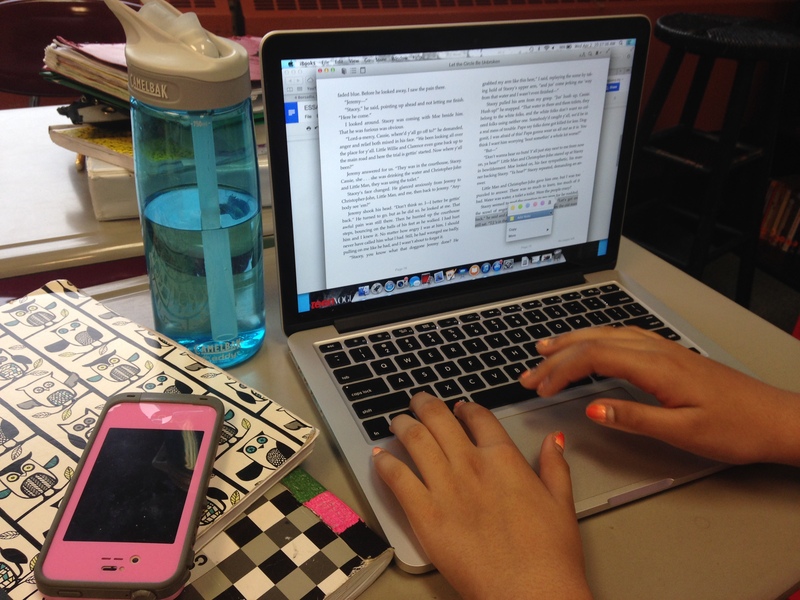 On their phones, tablets, and other devices, students today have access to some pretty amazing apps! In schools, many students are using Chrome apps and extensions on their Chromebooks and iOS and Android apps on tablets. All of these apps make it possible for students to consume, curate, and create digital information in new and exciting ways. App smashing, using more than one app in order to complete a desired task, is explained by Greg Kulowiec (@gregkulowiec) in this blog post from 2013 when he first used the term: http://kulowiectech.blogspot.com/2013/02/app-smashing-part-i.html. Recently, Vicki Davis (@coolcatteacher) interviewed Kulowiec for her radio program, Every Classroom Matters, and in the interview they discuss the origin of the term and examples of app smashing, and how more and more teachers are exploring the options of using multiple apps together: http://goo.gl/gZyogc. I like to think that the practice of app smashing is a lot like building a house. We don’t just use a hammer to build a house. We don’t just use a saw. We don’t just use one nail. Many different tools are evaluated so that the best ones are selected and then used in conjunction with one another in order to build a house. This is absolutely true in education as well. We can never rely entirely on just one resource, one application, or one piece of equipment. Instead, we plan instruction around using the most appropriate tools we have available to us, in the right combinations, in order to complete the tasks we set out to do. Just like building a house. Information about each of the individual challenges and how to submit the final creations is available here: https://tackk.com/audsuu. More information and examples of final products can be found by following the Twitter hashtag: #YOUVEBEENAPPSMASHED. Consider yourself officially app smashed! Teachers are constantly assessing these days. Whether it be formative or summative assessments, we are collecting feedback from our students to monitor their engagement, participation, and progress. 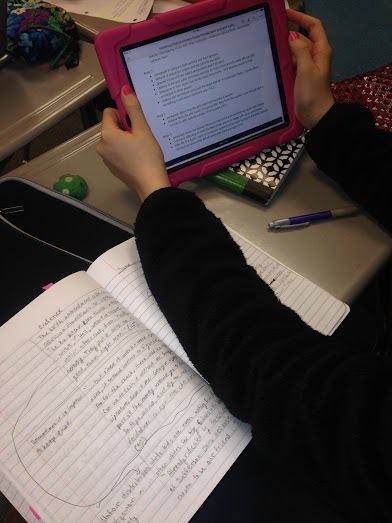 Many of these assessments are now digital, and a simple Google Form makes all the difference in the world when managing the collection, review, and scoring of these assessments. 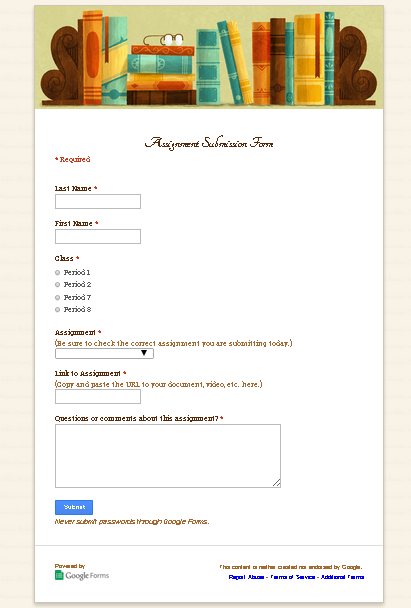 Students submit the assignment through the form. This helps instill a sense of responsibility in the student (as opposed to simply granting a teacher access to the documents). The forms can be created quickly. Just few minutes of setup time will save hours searching for and opening assignments. The forms can be customized. Each teacher can collect the information in the manner her or she prefers. The information is collected in a Google Spreadsheet. 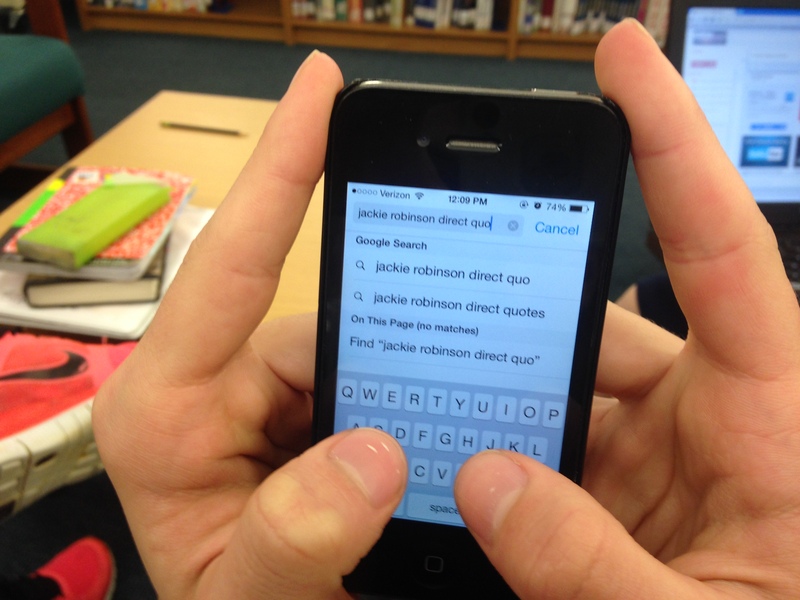 This allows the teacher the option to record grades and write notes directly alongside the assignment. From there, the teacher can sort the sheet by grade or note in order to pull small groups for conferences or to keep track of assessments to use as future student models of work. Also, the spreadsheets can be shared between team and co-teachers. Any assignment with a URL can be collected this way. This is great for collecting and keeping track of Google Docs, Slides, Sheets, videos, Symbaloo Webmixes, Padlets, and more! Later, after several assessments have been collected, the responses collected in the spreadsheet can be sorted by student. This data can be used during student conferences, and with conferences with the students’ parents. The information can be shared with students so that they can include it in their own portfolios to reflect on their progress. If you have been using Google Forms to collect assignments, or have any questions or suggestions about using this application, please leave a comment below.